Many are blessed with extraordinary qualities and talents and reality gameshows like the Britain’s Got Talent competition, aka BGT comp, is the UK ITV show that gives them an opportunity to showcase their gift to the world, and potentially perform in front of the Queen herself. Sadly I am not one of these talented individuals! But their viewer comp has great prizes. Nothing to see? Why not visit our home page for all the latest competitions? There are several entry methods to the BGT competition. Your easiest option is to enter using the online method via the itv.com/win competitions form or sms, however the cheapest method is to enter via post. And it’s not that much extra effort really. We will provide the the information you need every time a competition is announced. To send your entries via PRTS phone, call the number provided and follow the instructions. Itv allow several entries per phone number. The call from BT landlines are usually £2+ network fee per call. You can also send an sms text message to a number. Sms adopts the same method of allowing several entries per phone number. Those who submit their entries via SMS will receive a reply message as an approval of the entry. Again, these cost around £2 + network fee. 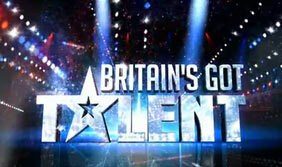 The online entries can be sent via the official itv.com/win entry page and will pay around £2 per entry to the BGT comp. Finally, there is a postal entry method, which is the cheapest way to enter. Especially if you use a plain postcard and a 2nd class stamp. Simply buy a book of stamps and have them handy to save yourself some money. Every time a BGT competition is announced we provide you with all the information you need to enter, including prize details and deadlines. The cash prize for winning the BGT talent contest was £100,000 and was increased significantly to £500,000 in series 6 (a lot of money to be won by a dancing dog!) along with the opportunity to perform in front of the Queen as part of the Royal Variety Show. The BGT viewers competition is always a massive cash prize + other VIP goodies; a gadget bundle, a car, an amazing holiday or a VIP concert…the cash prize has been as high as £50,000 in previous shows! Often the Britain’s Got Talent competition for viewers spans a number of weeks (eg it is bi-weekly) which is understandable considering the huge prizes! The talent competition follows a similar format to many other shows such as Dancing On Ice and The X Factor whereby a panel of judges have their say in the auditions and early days, but as the competition progresses the viewer vote takes over. Auditions take place at major cities all over the UK, contestants have been known to queue for a number of days in the cold to try and ensure their shot at fame. The successful contestants are called back and the show is aired on television. Although one of the most popular shows on ITV, Britains Got Talent has received some bad press for being “cruel”, however we all know this is part and parcel of these style of shows, adding to the entertainment factor. Simon Cowell (of X Factor) is the most famous of the talent contest judges, however co-judges include Michael McIntyre (love him! ), David Walliams, Cheryl Cole and David Hasselhoff. From day one, BGT has been presented by Saturday night prime time duo Ant & Dec, who seem to be involved in all ITVs reality success stories. 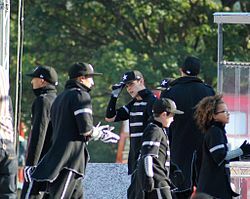 There has been many very talented contestants in BGT, however the tow that stand out for us are Series Three winners Diversity (an amazing street dance act which spawned many copy-cats in the following years and led to TV shows dedicated to dance) and Susan Boyle…who was actually the runner up in Series three, but still a winner in our eyes. The £500,000 cash prize which went to Ashleigh and Pudsey seeemed a bit unfair…yes; I am an animal lover but there were many more deserving acts in my opinion, however when it comes to the Britains Got Talent competition, the final decision is always down to the public vote!